This project was designed to create a relaxing spot to enjoy evenings with Friends around the fire. Beautiful landscaping was added to enhance the look of the area but also match the existing Landscape around the property. If you would like ideas like this for your yard, Contact Us! This customer wanted to enhance the walkway leading to the house and retaining walls to hold landscape beds and plants. Large Seating Stones were added to create a cohesive look thoughout the project. Talk about curb appeal! To see about adding to the value of your home using elements like this, Contact Us! A Great Place to Barbeque! This Client wanted to update their outdoor patio space with a new paver patio and steps leading to it from the house. We put in entry columns complete with lights and a build in place for the Barbeque. If you would like information or pricing on creating a space like this in your yard, Contact Us! From large space to small ones. We can create wonderful outdoor space even when space is limited! If you would like more information about creating usable outdoor space to enjoy and entertain, Contact Us! 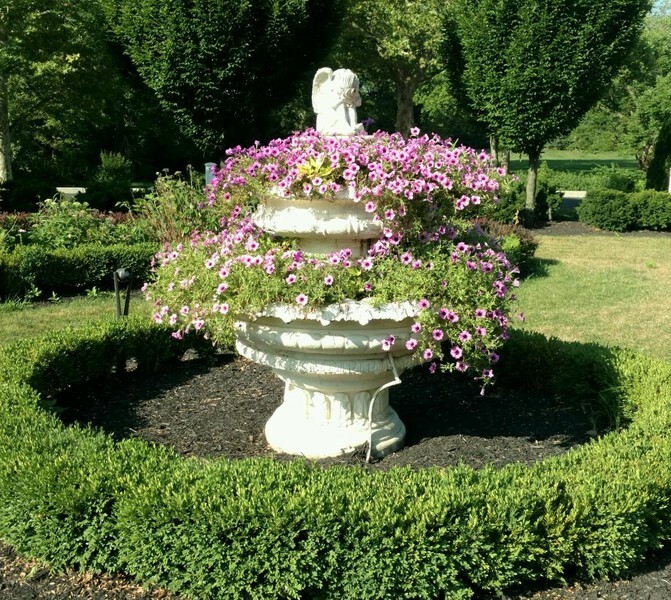 A great way to add color to your landscape is by adding annuals in the Spring & Fall. 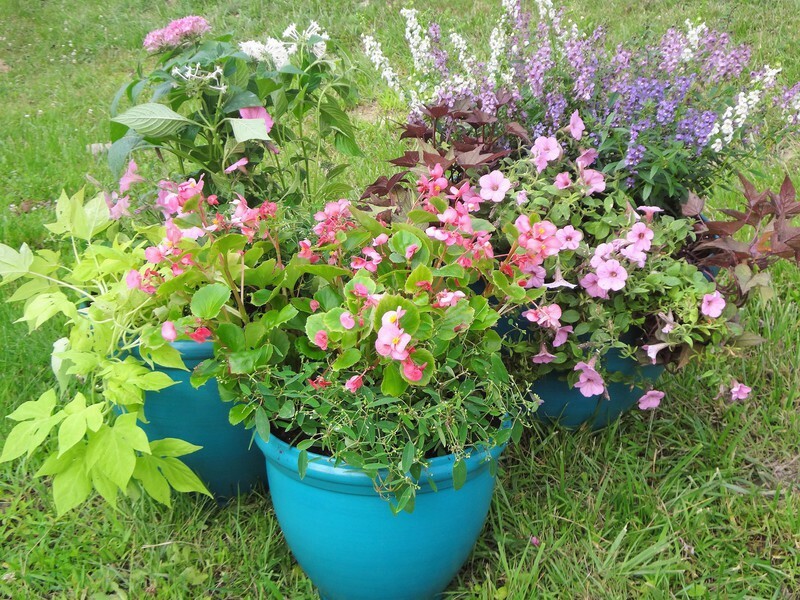 Many people love adding elements of container gardening to their existing landscapeing. We plant annuals for many Clients, whether it's in the ground, in their containers or containers we purchase for them. If you would like more information or pricing for Annuals or Container Gardening, Contact Us!